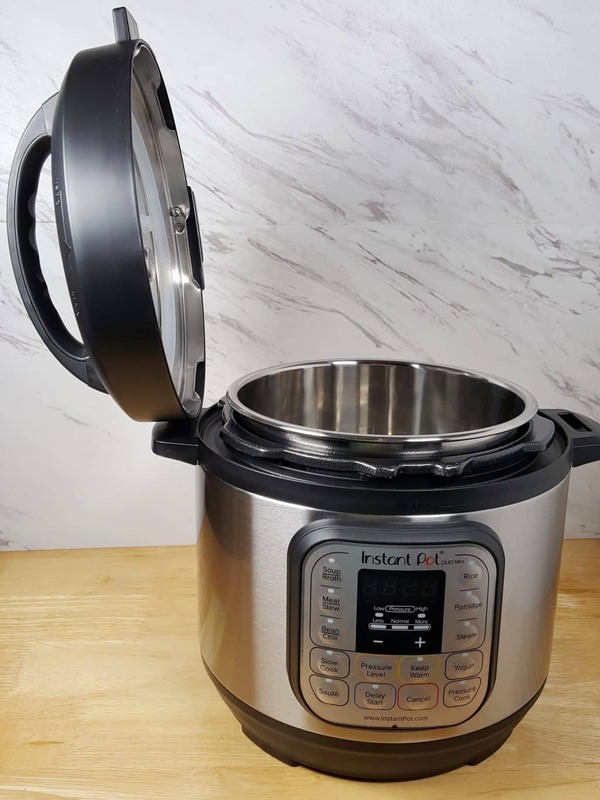 This Instant Pot Duo Mini 7-in-1 Pressure Cooker Review introduces the newest member of the Instant Pot family of Programmable Electric Pressure Cookers. Meet the new addition to the Instant Pot Family. Introducing the new Instant Pot Duo Mini 7-in-1 Multi-Use Programmable Pressure Cooker!!!!! It’s a 3 Quart Baby and I LOVE it. 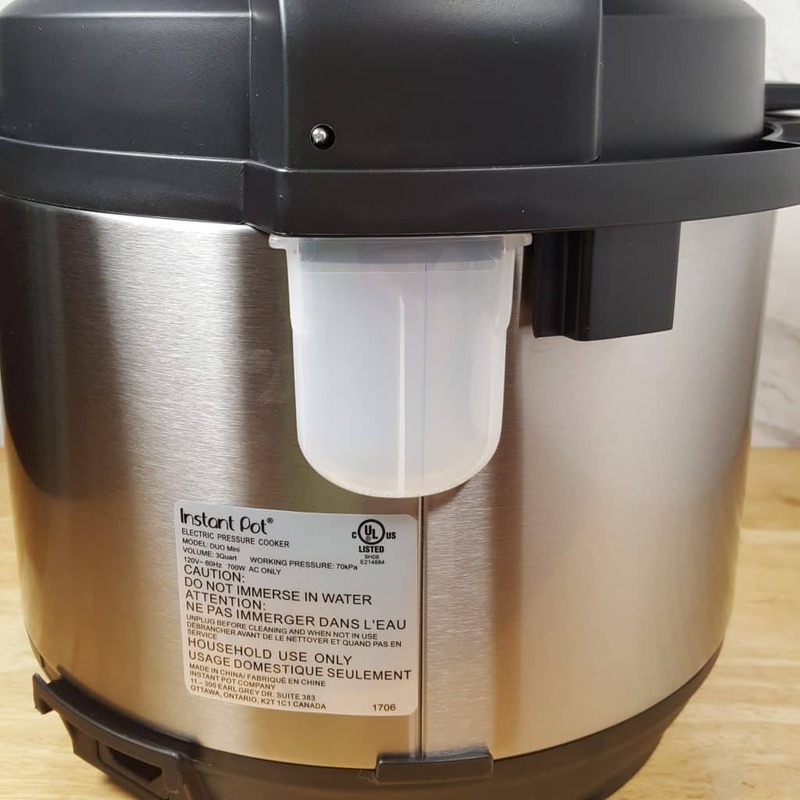 I was so thrilled to receive and be asked by the Instant Pot Company to do a review on their new Instant Pot Duo Mini 7-in-1 Electric Pressure Cooker. This Instant Pot Duo Mini 7-in-1 Pressure Cooker Review, is not your normal review. But then again, I am not your normal Blogger! 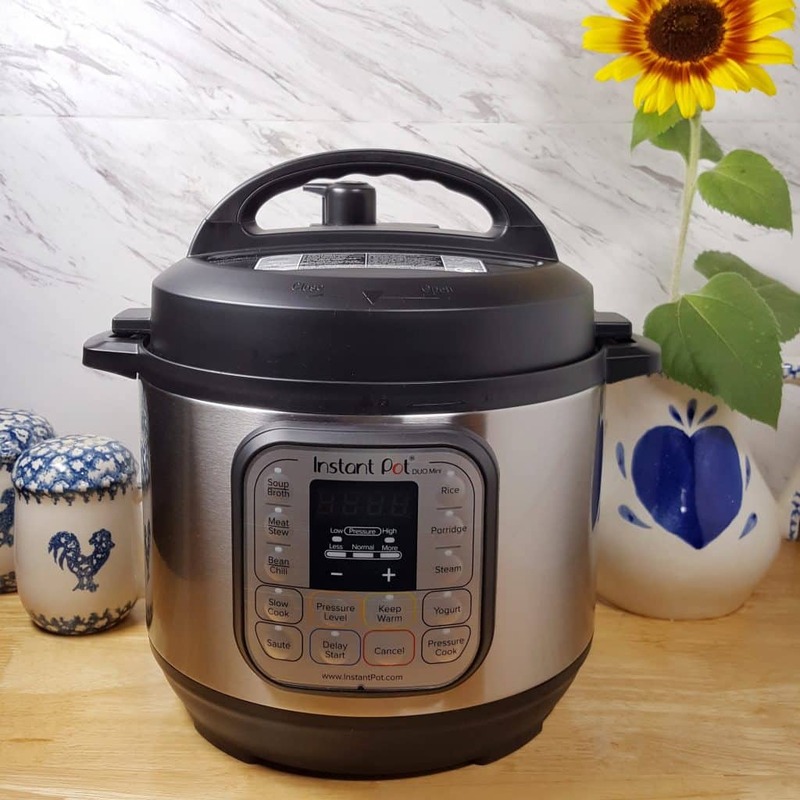 Back to School Alert – Moms, Dads, I bet your college student would love an Instant Pot Mini in their Dorm room. The Instant Pot Mini is small enough to easily fit on your Recreational Vehicles and Boats. As a Floridian (born and raised in Miami) where Hurricanes happen, the Instant Pot Duo Mini 7-in-1 would be handy to bring to a Hotel (assuming they have power), as it would be easier to maneuver. Its also great for Small Kitchens. 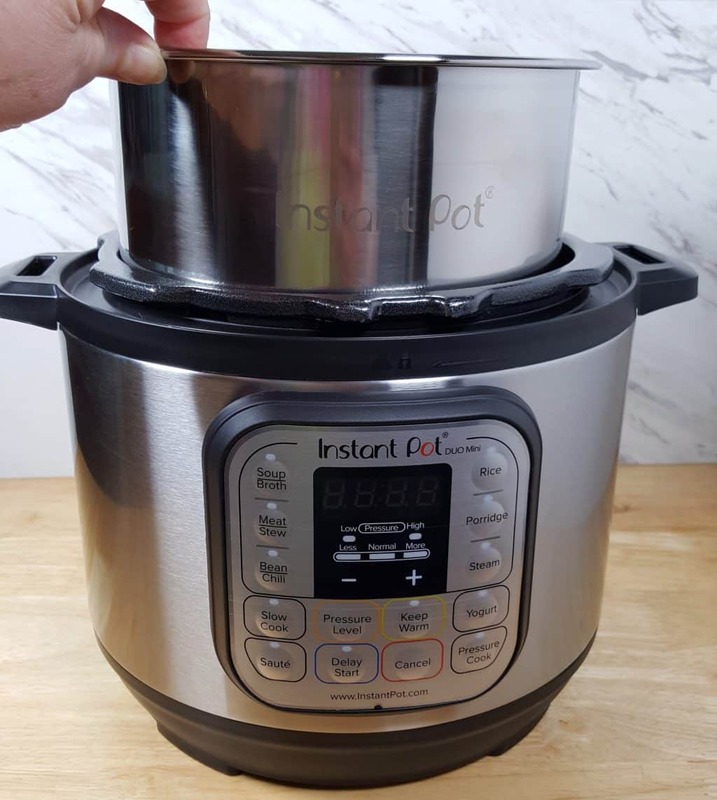 But after playing around with this Mini for a while, I realized, this Instant Pot Mini has all kinds of potential for everyone and every family. One Day Amazon Sale April 25, 2018. Click here to grab yours now!!! It is great for large families too! 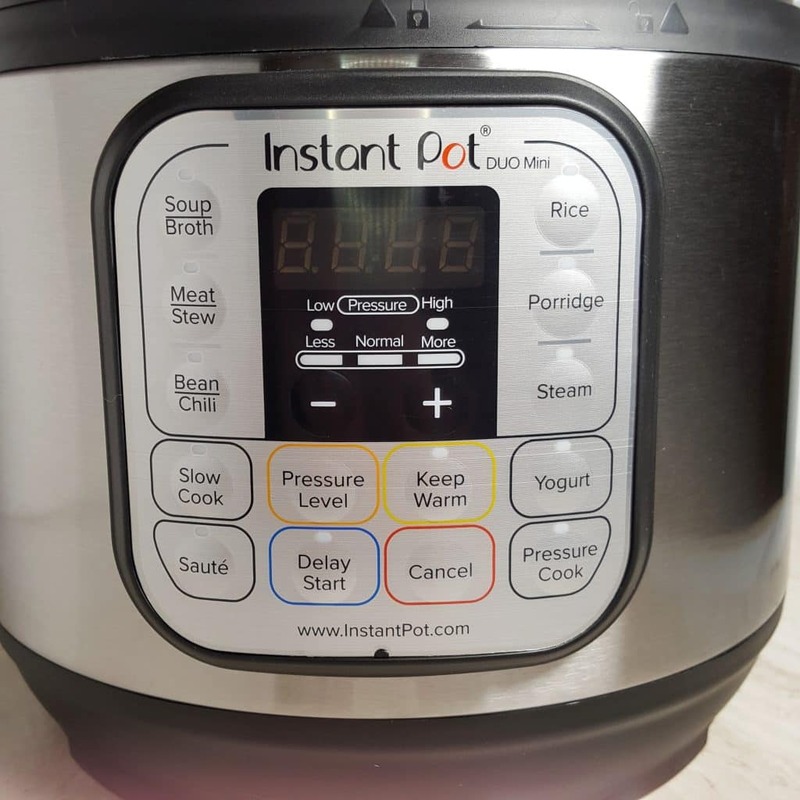 Read on and I will tell you why you need an Instant Pot Duo Mini 7-in-1 in your life. But first, before I go into detail and tell you all about the Brand New Instant Pot Duo Mini 7-in-1, let’s get the most important question out of the way. 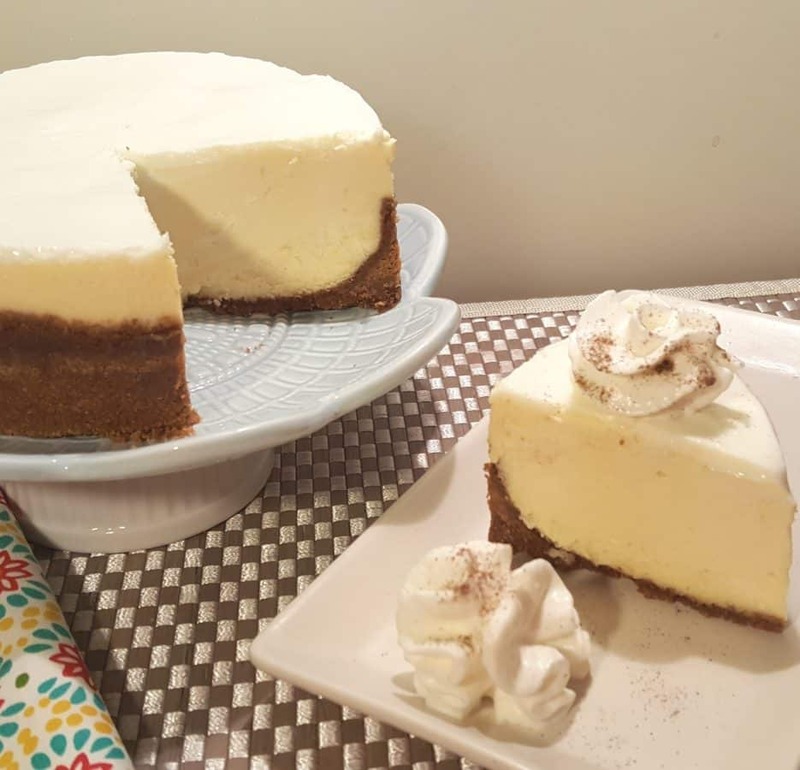 Yes, you can make my standard Pressure Cooker New York Cheesecake in this Instant Pot Duo Mini 7-in-1, without any modification whatsoever! Look at the above photo. What do you see? That’s a 6 inch Cheesecake Push Pan sitting on the included Trivet. All my recipes are written for a 6 inch Cheesecake pan! 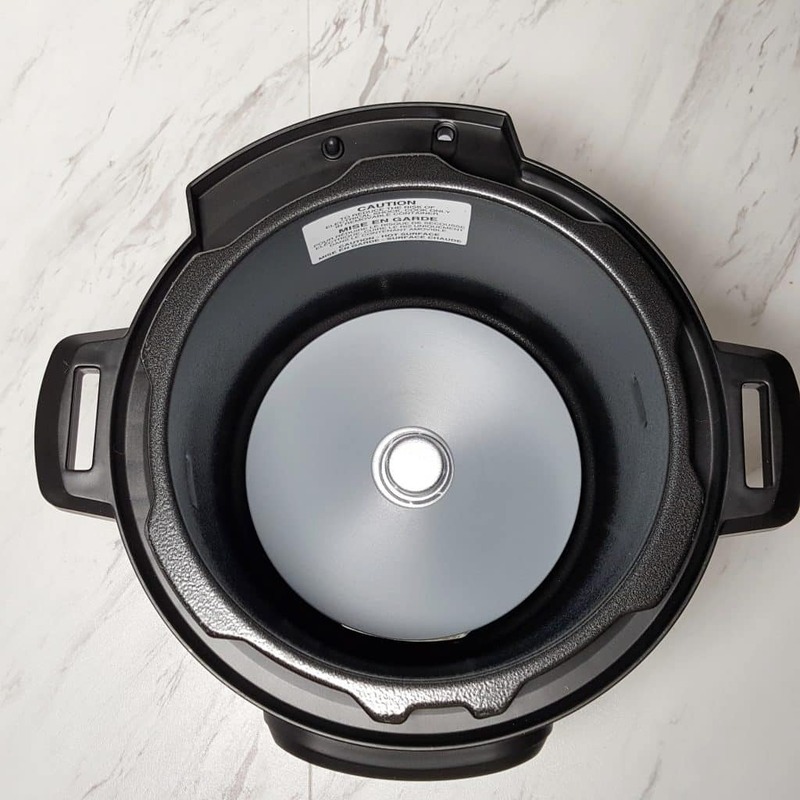 Many of you know by now, that my favorite Cheesecake Pan to use in my Instant Pot DUO-60 is the 6 inch Push Pan. Of course, if you own an Instant Pot DUO-80, you can use an 8 inch Cheesecake Pan and just double the recipe. Now that this whole super important Cheesecake issue is out of the way, let’s begin the review of this marvelous machine. 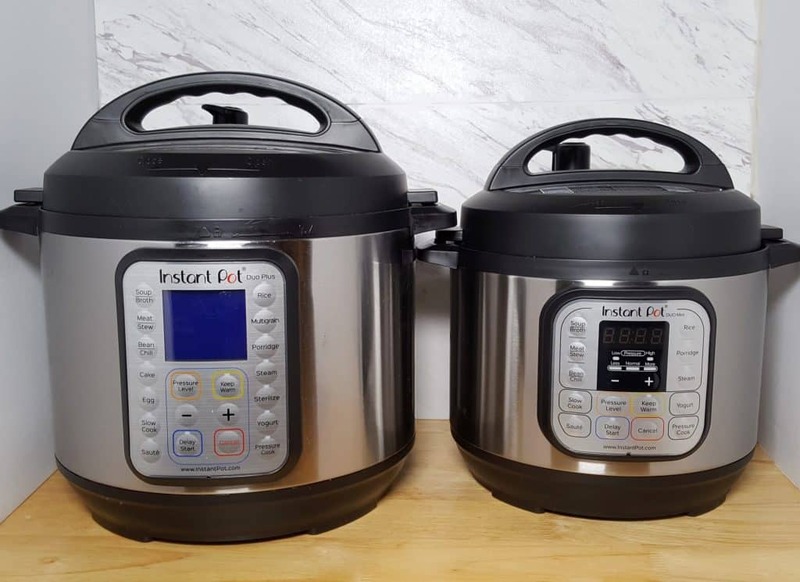 Besides being adorbs, as I said above, this Instant Pot Duo Mini 7-in-1 is the perfect size for Dorm Rooms, Recreational Vehicles (“RVs”) and Boats. But, the reason I love it for my RV, is not because of the ease of storage. It’s not because of the small amount of counter space. Instant Mini is Great for RV and Boat SINKS!!! 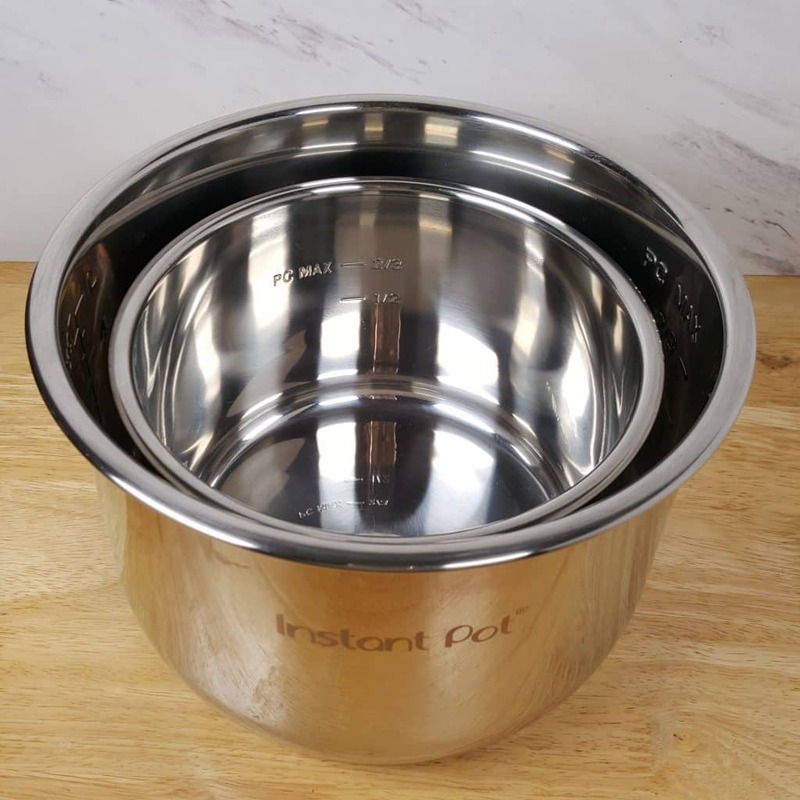 As with all Instant Pots, the Cooking Pot for the Instant Pot DUO Mini 7-in-1 is Health Food Grade 18/18 Stainless Steel. The larger IP Cooking Pot in the photo above, is a 6 Quart Cooking Pot, so you can see the difference. The Instant Pot DUO Mini 7-in-1 Inner Cooking Pot Dimensions are 7.8 x 5 inches/19.8 x 12.7 cm. My first Instant Pot was an Instant Pot LUX. It was purchased back in 2011, specifically to use on my Recreational Vehicle (“RV”) to save room and take the place of my slow cooker, rice cooker, steamer and more. 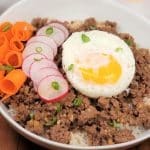 The Instant Pot LUX was the perfect answer and saved me all kinds of room. Well, it would have saved me room, had I not decided to pack up extra appliances anyway. But, there was just one teeny issue. The RV sink. It is not easy to wash a large pot in an RV sink. It’s so small!!!! Even with the tall faucet we installed to make cleaning large pots easier, it was still a challenge. 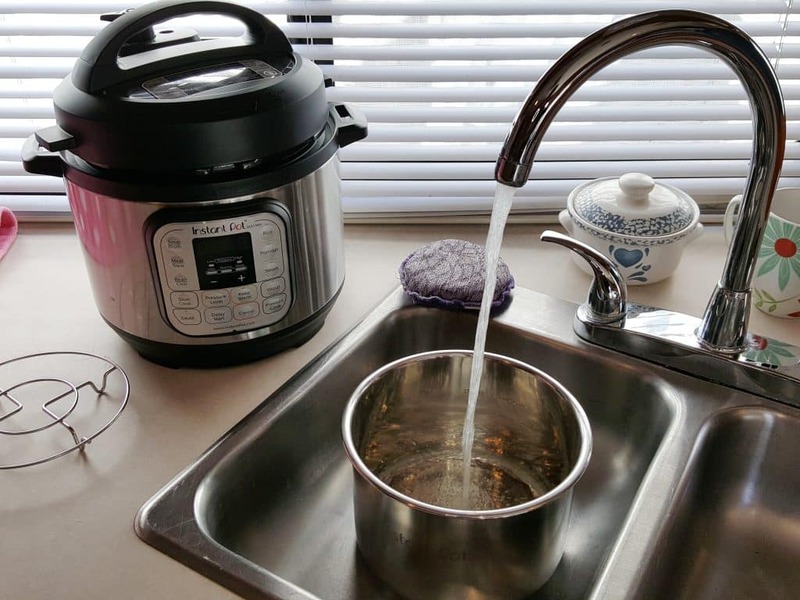 Okay, so if you have not guessed by now, the best news for RV owners, the 3 Quart Stainless Steel Pot, easily fits into RV sinks. You know what that means, right? No more fighting with the sink. No more water splashing all over the place!!!!!!! No more aggravation. I am sold! There is even room to spare! 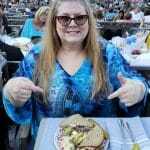 For more RV talk, check out my RV Life – Recreational Vehicles, Motorhomes, 5 Wheels, Travel Trailers Facebook Group. Besides RV’s this new Instant Pot Duo Mini 7-in-1 is perfect for apartments and kitchens with limited space. The 3 Quart Instant Pot DUO Mini, is also great for any size family. The Mini, does everything the Instant Pot DUO60 does and more! For larger families, the Mini size is great for side dishes, such as my Pressure Cooker Green Bean Casserole, Homemade Barbecue Sauce (serve right from the Pot), Cranberry Sauce, my Simple Sweet ‘N Sour Dipping Sauce recipe, desserts, like my Slow Cooker Apple Crisp Recipe and more. 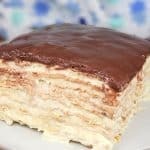 As shown above in the Cheesecake photo, you can even cook recipes using the Pot in Pot method. More good news. The Instant Pot Duo Mini 7-in-1, is not JUST a smaller DUO. In my opinion, it is a smaller Instant Pot DUO-60 PLUS, (just without the egg, poultry, multi-grain and cake preset buttons). The Instant Pot 7- DUO Plus Mini is more user friendly than the Instant Pot DUO60/80 Models. Just one button for Yogurt!!!! Press it once and it says “Boil.” Press it again and you will see the More, Less or Normal Settings! No more confusing Adjust button. You can easily use one-half gallon of milk and make your own Homemade Instant Pot Greek Yogurt. 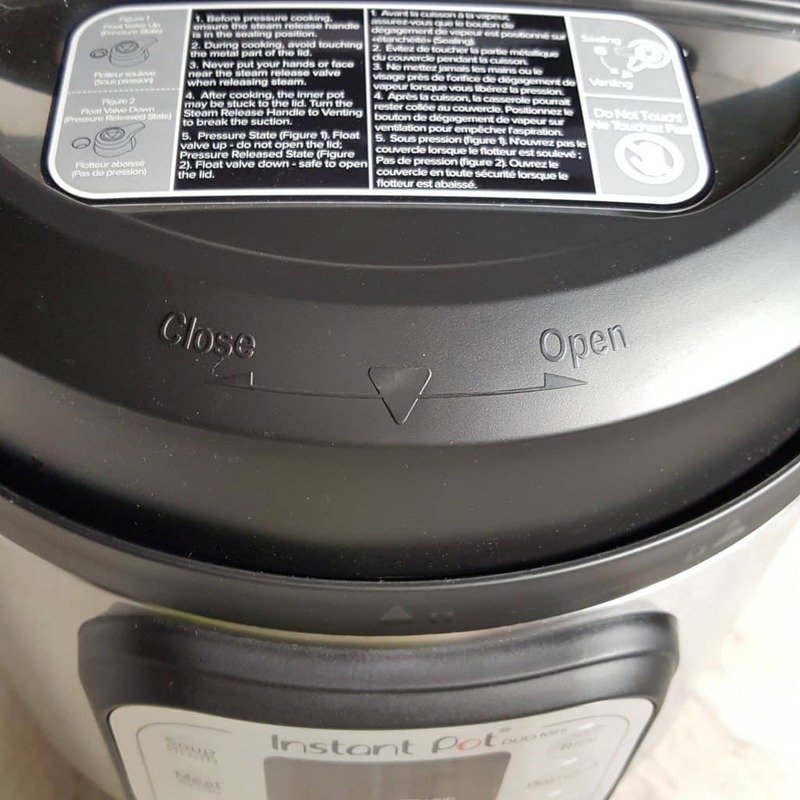 I’ve added instructions for using the buttons on the Instant Pot DUO Plus / Instant Pot Duo Mini 7-in-1, as both models work the same. Another similarity to the Instant Pot DUO Plus, is the Sauté button. At any time while Sautéing, you can adjust to Less, Normal or More, without first turning of the Pot! Which leads me to the next cool upgrade. All the preset buttons have Low, Normal, High with various preset time, which you can see by pushing the button over and over again. For instance, push the Meat button and it displays Low/20 minutes. Push it again and it displays Normal/35 Minutes. Push it once more and it displays High/45 minutes. I love this option. It is great for recipes like my Pressure Cooker Beef Stew with Root Vegetables, which cooks for less time than my Pressure Cooker Classic Pot Roast recipe, which would use the longer time setting. The Pressure Level button adjusts between High and Low Pressure. The Pressure Cook button takes the place of the Manual button. The Poultry preset button was removed, which I feel is a good thing. The cook time for Poultry is very little and it is easy enough to push the Pressure Cook button and set the time. The Timer Button is now called “Delay Time,” which makes it more clear to users of its function. The One-Touch Button operation, remembers the way you cook and each program remembers your last customization. One feature unique to this Model (and not covered in the instruction manual), is that you have a choice to engage or not engage the “Keep Warm” feature when you press the “Pressure Cook” button (which replaced the “Manual” button). When the Pressure Cook button is pressed, the “Keep Warm” button will illuminate. After the cook time is complete, your Instant Pot Duo Mini 7-in-1 will automatically go into the Keep Warm mode and the “Natural Release Pressure” (“NPR”) begins. Most of my recipes, like my Instant Pot Carnitas (Mexican Pulled Pork) recipe and my Pressure Cooker Hard Boiled Egg Loaf recipe, calls for NPR, meaning, do nothing and let the pot release on its own. This allows the food to slowly finish cooking. If you press the “Keep Warm” button, after pressing the Pressure Cook button, the light goes off. After the cook time is complete, the Instant Pot Duo Mini 7-in-1 will turn itself off and the “Off” button will illuminate. With either option, you can begin a “Quick Pressure Release” (“QR”) by gently pushing the Pressure Valve towards you. Using controlled intermittent movements is best, so that you don’t make a mess all over the counter. 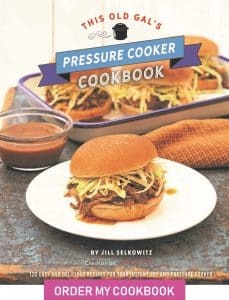 For recipes like my Pressure Cooker Picnic Potato Salad, this is a great feature. As is standard with all Instant Pot models, there are 10 Safety Features built in. The Condensation Cup is to collect excess liquid and steam. All Pressure Cookers and Instant Pots work on Steam. The Steam powers the cooking. You’ll want to use enough liquid to so that Pressure (steam) will build to cook your food. But, you don’t want to use excess and boil your food….unless of course you are making Soup or Stew. Even then, if converting your own Slow Cooker or Stove Top recipe, the amount of liquid will be less. 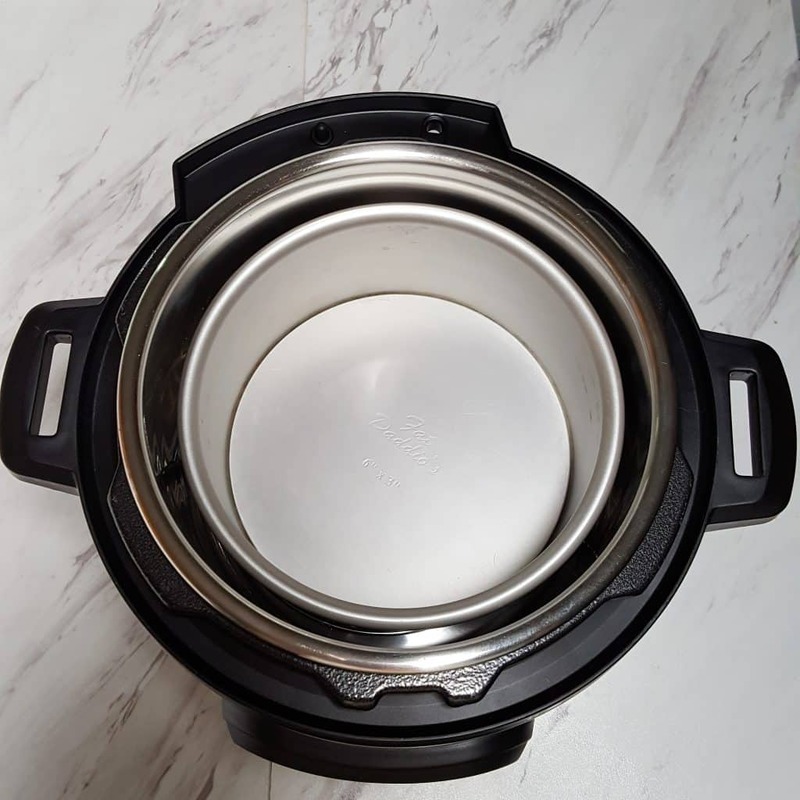 Remember, the food in your Instant Pot Duo Mini 7-in-1, cooks in a tightly sealed vessel and will not cook down and lose liquid, like other methods. The Sauté feature is for reducing liquid to achieve a thicker sauce or gravy. With a quick snap, your Condensation Collector is attached. Make sure to remove it often and wash it out. Mold will grow, if you let it sit for a while with the accumulated gunk excess liquid. 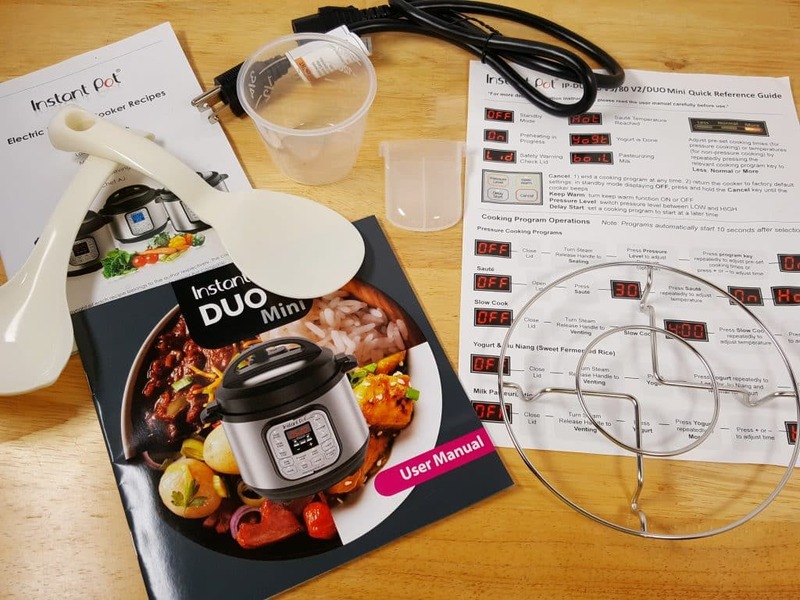 This is the Instant Pot Duo Mini 7-in-1 Heating Element. Do not put any food directly on the Heating Element. 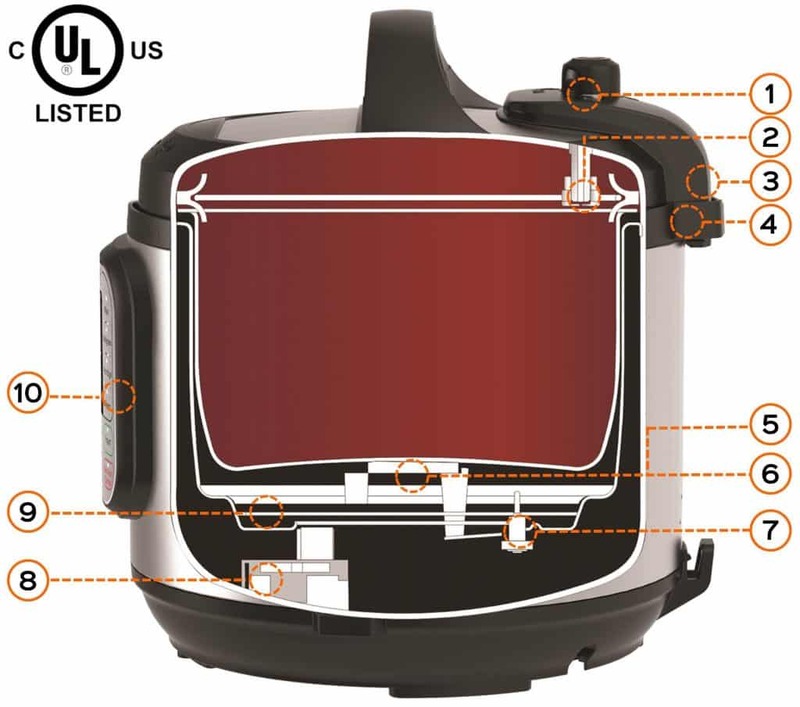 Your Instant Pot Duo Mini 7-in-1 will have an Orange sticker over the element. Folks, this is not negotiable. Always, use the Cooking Pot to cook ANYTHING in your Instant Pot Duo Mini 7-in-1. The Cooking Pot goes directly over the Heating Element. RV’ers and Boaters, your Stoves usually come with Marble or Wood Covers. Never put your Instant Pot Duo Mini 7-in-1 directly on the Burners of your Stove. Make sure your Covers are in place. Also, a good idea is to pull the knob off the Stove, so you don’t accidentally turn on your Stove!!! For those wanting a cover for your home Stove, these wood covers do double duty as Burner Covers and Cutting Boards. When you go to Lock your Lid in place, note the Arrow on the front of the Lid. That indicates that your Instant Pot Duo Mini 7-in-1 is locked in place. 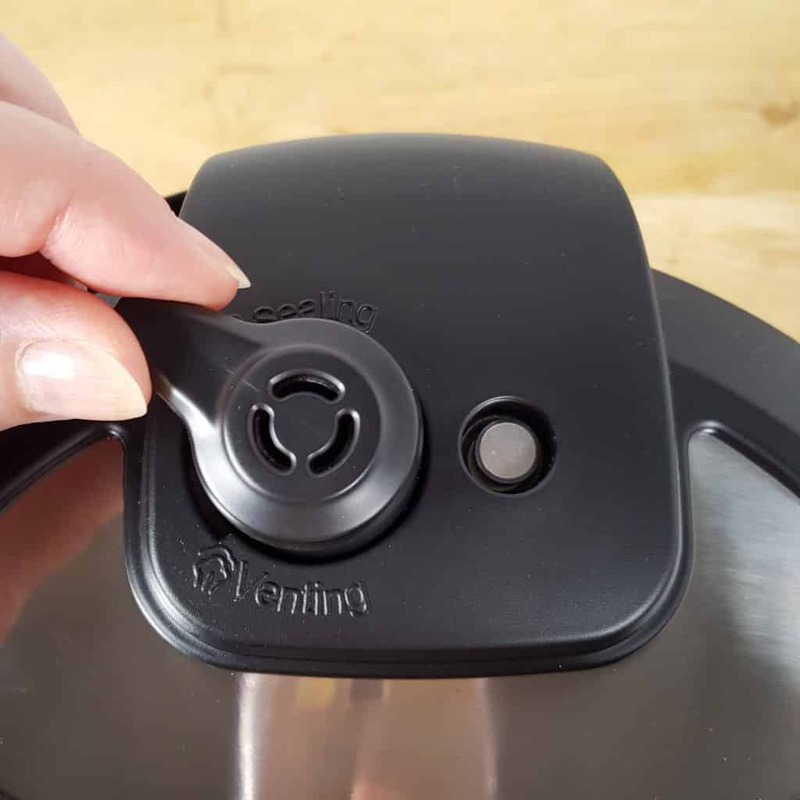 In order to Lock the Lid, you will need to place the Lid on the Instant Pot Duo Mini 7-in-1 at about 10:00, and then twist the lid to the right. Some people use Nail Polish and paint over the Arrow to make it easier to see. The Instant Pot Duo Mini 7-in-1 Pressure Valve needs to be in the sealed position in order for your pot to reach Pressure. The Pressure Valve toggles and easily pulls off for cleaning. It is important to clean the Value after every use. Use your fingers and push the Valve away from you to seal. If you are Slow Cooking, push the Valve towards you, so that excess steam will escape. 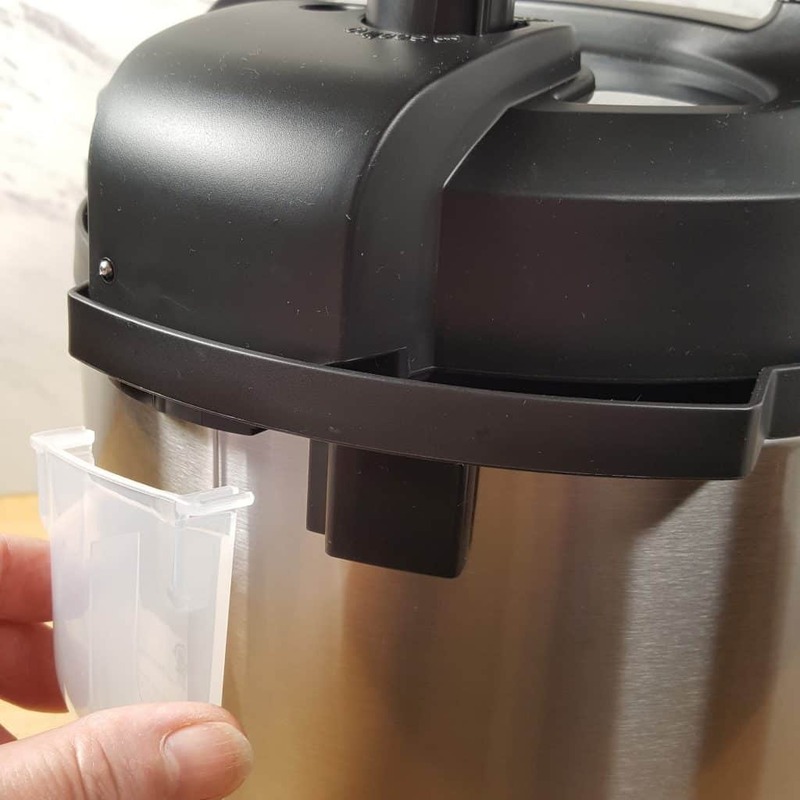 When the Instant Pot Duo Mini 7-in-1 reaches Pressure, the Float Valve (the little silver pin, to the right of the Pressure Valve will pop UP. The Float Valve is held on with a tiny silicone gasket. It is important to keep the pin and gasket clean. The Float Valve and gasket are easy to remove from the Lid. Never, ever try to force open your Pot when the Float Valve is in the UP position. Never! There are safety features built in, so that you cannot open the lid, so don’t try to force it. Instant Pot took all the precautions to make their products very, very safe. 10 separate safety features! Parents of college kids, fear not. These 10 Safety Features will keep everyone safe! 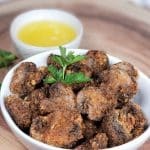 When the Float Valve has dropped and it is time to release the Steam after Pressure Cooking, use controlled jiggles, so that a little bit of Steam escapes slowly from the Pressure Valve. Don’t be afraid. Use your fingers on the side of the Pressure Valve, like you see in the above photo, not on top. Make sure your face is away from the top of the Pressure Valve. As is standard with the DUO models, the handles of the Instant Pot Duo Mini 7-in-1, doubles as a Lid Holder! 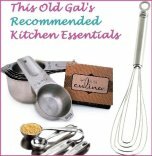 This is especially great for people with small kitchens and limited counter space. Condensation will drip from the Lid and guess where it will end up? Here is a Mini Stainless Steel Strainer Basket for this new Mini IP. 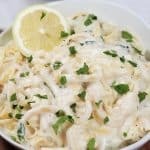 This is great or Instant Pot Mashed Potatoes, Pressure Cooker Potato Salad, Pressure Cooker Hard Boiled Eggs and more. This picture shows the result of using three “Rice” cups of rice, which has been fluffed. You could easily cook five “Rice” cups of rice in this Mini Pot. That would yield about 10 servings of rice. Remember, a “Rice” cup is 3/4 of a cup, which is 6 oz (dry). You don’t need many accessories, if any at all, really, for this Instant Pot Duo Mini 7-in-1. You will want a Bowl to heat up leftovers and to steam Vegetables, like Broccoli (so they don’t fall through the Trivet. If you are making my Mashed Cauliflower, you can just put the Cauliflower on the included Trivet or use the Smaller Colander Bowl. This 1.5 Quart Stainless Steel Bowl is perfect for Pot in Pot Cooking. 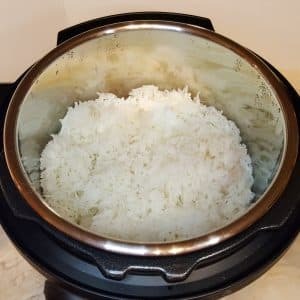 It’s the one I recommend on my Instant Pot Favorite Accessories Page, so you may already own the Bowl! 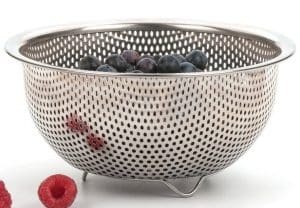 However for steaming Veggies, I recommend the Smaller Colander Bowl. For Broccoli, I set the Pressure Cook time to “0” minutes. For my preference, it is over cooked. For my husband’s preference, it was perfect. Timing is a personal preference and what is good for one, isn’t necessarily good for the other. In conclusion, this Instant Pot 7-1 DUO Plus Mini is great for everyone, not just Students in Dorms, RV’ers and Boaters. You can cook for one person, or you can cook for two or more. For larger families, this 3 Quart size is perfect for side dishes and desserts. I didn’t mention much about the specs, because everyone else always does that, right? But, in case you are wondering, the Instant Pot Duo Mini 7-in-1 is 3 Quarts and 700 watts. It is 11.4 x 10 x 11.2 inches and weighs 8.2 pounds. 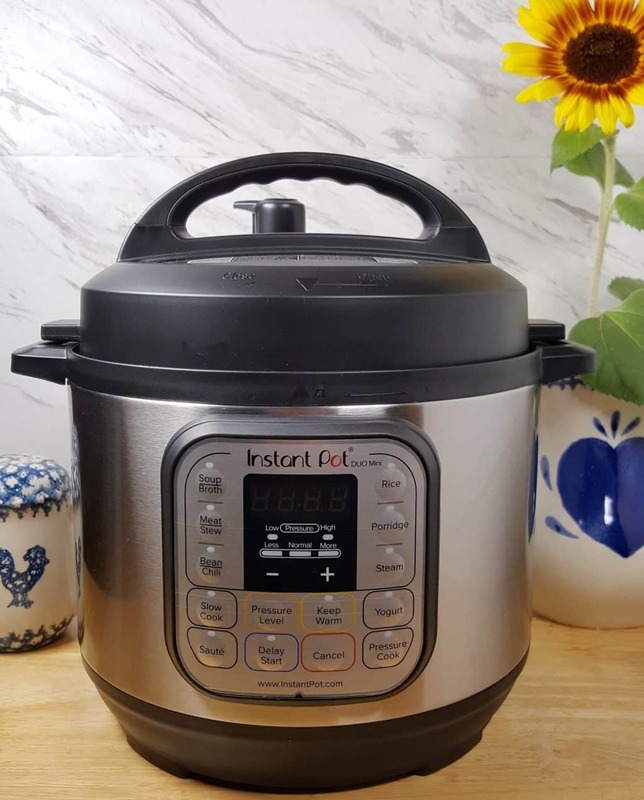 I hope you have enjoyed my Instant Pot Duo Mini 7-in-1 Pressure Cooker Review and that I was able to answer any questions you might be wondering about this cute little model. Feel free to post questions in the comment section below and I will be happy to answer. The Instant Pot Duo Mini 7-in-1 is now available, so if you want one, click here to buy yours. 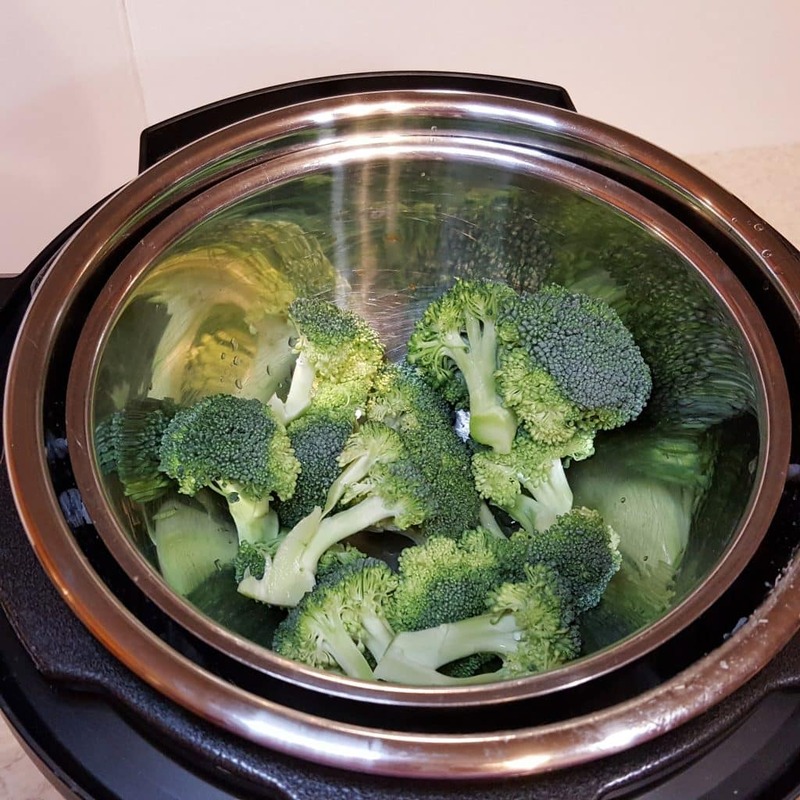 PIN this Instant Pot Duo Mini 7-in-1 Pressure Cooker Review! You have explicit instructions for the mini pot. What I am searching for is how many frozen boneless chicken breasts can I fit in the 3 at and the cooking time. I have the 6qt and 8qt duo instant pots and I just purchased a duo mini. My question is where can I find recipes or how do I judge what amounts I need to cook in the duo mini. I’m assuming I can make the same things in the duo that I make in my other duo pots. Can you help please? Is this big enough to make meat dishes such as pot roast or pork? I need a recipe for cold start yogurt in the 3 qt mini with the yogurt button.